Homeopathy treats the patient with homeopathically prepared substances. Treatment initiates the body’s own system of healing. Homeopathic remedies are chosen based on symptoms, following the principle of ‘like cures like.’ A substance in a material dose will cause symptoms which when used in homeopathic potency can treat similar symptoms. 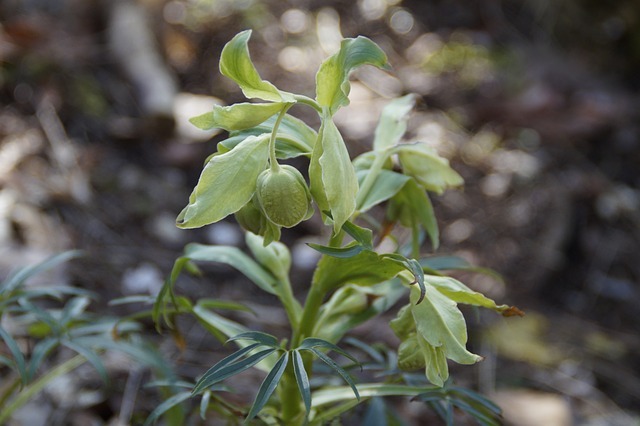 For instance, a high dose of a poison such as belladonna (pictured) has a quick intense effect. It also induces a throbbing headache. We can give belladonna in diluted homeopathic form. Following like cures like, it is an effective remedy for an intense, throbbing headache which comes on quickly. Homeopathy is an energetic medicine, its power resonating with the person’s own ability to heal. Homeopathy is safe for people of all ages including babies, the elderly and whilst pregnant. You can even use Homeopathic remedies with animals and plants. Our remedies are made on sucrose pilules rather than lactose, and are safe for those with all manner of allergies or intolerances. How is complex prescribing in Homeopathy different? Complex prescribing is the primary method used by Return to Health, allowing treatment across multiple layers of symptoms and even causes, resulting in complex conditions such as ASD; Asperger’s Syndrome; ADD; ADHD; ODD and other developmental disorders; mental and emotional disorders; injuries; and chronic conditions such as arthritis and chronic fatigue, in children and adults. What do the remedies look like? Our homeopathic remedies are tiny white pilules which easily dissolve in the mouth. How do I take the pilules? You can take the remedies under your tongue or you can chew or swallow them. You can also dissolve them in water or other fluids. What if my child won’t take the remedies? We find this is a common concern for many parents, especially those parents with experience administering multiple supplements or other medication. Homeopathy is easy to administer. The pilules are small, and taste sweet. We find children are eager to take them. This is especially true if the correct remedy is chosen, because children do feel the positive effects. What is the process to get started? First make an enquiry either via email or by booking an enquiry session online. We will then agree on a longer consult time either in person or via Skype. We will send forms by email for you to complete prior to your consultation. Your first consult usually takes 1.5-2 hours. This allows your homeopath time to get to know you. They then have a good picture to begin to prepare prescriptions for your particular condition(s). How long does homeopathy treatment take? This depends on the condition we are treating. Every individual has their own inherent timing in recovery. This is dependent on the number of individual layers of ‘stuff’ and the ease with which we are able to remove or re-integrate it. Treatment occurs in 4- or 8-week rounds. One-hour follow-up consults either in person or via Skype are necessary every 4 or 8 weeks, depending on the condition. How many treatment rounds you will need is specific to each individual and family. What if I have a question between consults? Many patients in the early stages of treatment feel anxious about results. Some may also experience strong symptoms. Your homeopath is available most times via email or in cases of emergency, by phone. We expect in the early days of treatment you will have questions about the process, and this is okay. As you spend more time with your treatments, you will find you have fewer questions as homeopathy becomes a part of everyday life. It is highly likely (and highly desired) that you will experience physical, emotional and mental symptoms during treatment. This is often described as a ‘detox’ or ’shift’. We design your treatment to re-connect your body’s energy system where it was interrupted. You may find suppressed physical or emotional energy begins to surface. Various symptoms can present as the condition starts to resolve. This is a strong indication of healing. During your consult, your homeopath will advise you on the types of symptoms you need to watch for. They will prescribe remedies to help safely and naturally ease the severity. Whilst detox can be worrying at times, trust the process. Rather than being something to fear, you should view detox as opening the door, or opening the aperture, back to recovery. Why are the remedies not labelled on the packets? The homeopathic remedies prescribed for you are unique to your situation. We prescribe them to match a symptom, to draw out a suppression or to heal. We number your treatment packets according to when you should take them. We also label your “support” remedies according to symptoms. Our clients find this system quick and easy. In complex cases, it is not a matter of selecting one homeopathic remedy for each issue. The combinations of remedies we prescribe after each consult will move with you and your growth. What we don’t want you to do, is over-analyse, or focus too much on ‘what’ remedy your treatments are. We do however discuss what is being treated in each round, and with each packet, and what symptoms or movements you may expect to see. What else do we need to do during treatment? There are no specific changes you need to make. No special diets or supplements. Many of our clients are relieved to know they can relax on those things. Depending on the case, we often recommend a simplification of ancillary treatments. In short, you can’t mess this up! You can drink alcohol in moderation. You can have a cup of coffee; or eat a burger. The kids can go wild at birthday parties or school fairs. You will still feel the effects of homeopathy, because it is an energetic medicine, and it works from the inside out. This centralised system of healing will simplify your life. If you can commit to presence, strength and growth, then you will help the healing process. This means you will see stronger changes in a shorter period of time. Can I use homeopathy alongside prescription medication? Yes. 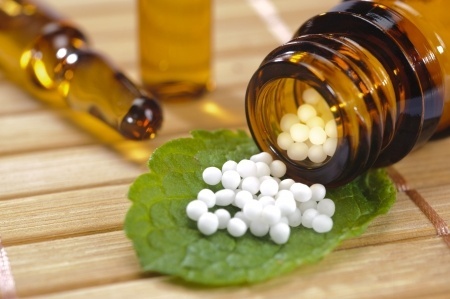 You won’t hinder the action of the homeopathic treatment by taking prescription medication. Homeopathy’s aim is to address the root cause, not only manage the symptoms. We like to work towards a medication-free future with our clients. Please discuss all changes in prescription medication with the prescriber. Why do you treat the whole family not just the child? In many cases, we need to treat the family in order to help the child. It is important to treat parents homeopathically as well, as there is a vital energy which connects the family. When we treat a child with homeopathy, they undergo significant change. To ensure the treatment has long term success, the whole family must move with them for that energy to hold. Parents can be holding onto a host of post-traumatic stress symptoms. Symptoms result from caring and supporting children with severe physical, developmental or emotional issues. This is also important to treat. By treating the child it changes the family. By treating the parents we are helping to change the child, so more of who they really are can be present. To begin with, we offer our prospective new clients a free 20-minute Enquiry Session via video-call. This meet and greet can help answer any initial questions. This session also helps both you and your homeopath decide whether homeopathic treatment is the right choice in your particular case. If so, we can make a time for your first full consult and start you on your return to health.